Fragrance Discovery sets are trending! And with good reason – they’re a great way to discover new fragrances, enjoy luxury perfumes without making a major monetary commitment and to get an easy-to-travel-with size of your favorite scent. A fragrance discovery set is always a welcomed gift, especially when you’re not sure of which scent is on their wish list. Check out these sets and experience luxury perfumes affordably. Cire Trudon, has been creating exquisitely fragrant French candles since1634 in their original boutique in Paris. In recent years, they’ve created five intense and luxurious perfumes, and all are in their fragrance discovery set. Beautifully boxed, the five scents in the coffret are: Bruma – soft leather with a touch of iris, Revolution – with cedar, patchouli and a touch of smoke, Olim – spicy and royal with notes of benzoin, myrrh and clove, Mortel – black pepper, incense and benzoin create a very sensual scent, and Deux – forest like, with notes of pine, juniper and cashmeran wood. The luxury house of Krigler also has a rich history, and it can be difficult to decide which perfume to choose from their extensive collection. My suggestion is to try out their Iconic Discovery Set which contains five of their most loved scents. Extraordinaire Camelia 209 – a fresh scent, Lovely Patchouli 55 – a warm scent, English Promenade 19 – a fruity scent, Chateau Krigler 12 – a light scent, and Pleasure Gardenia 79 – a floral scent, which happens to be their very first perfume. Pleasure Gardenia was created in 1879 by Albert Krigler as an engagement gift for his fiancée and was first offered for sale in 1904 and remains popular today. 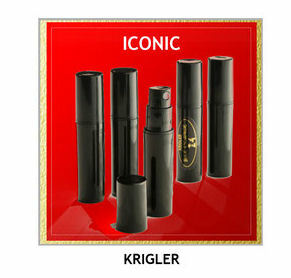 If you prefer particular scent profiles, Krigler also offers discovery sets with specific families of notes. Choose from Citrus, Fearless, Sweet, Floral, Bold, Masculine, and Woody. Exotic Middle Eastern notes such as oud, incense, musk, rose and beautiful spices are the signature of the luxury house of Amouage Perfumes. This discovery set consists of a dozen of their most popular women’s scents: Beloved, Dia, Fate, Gold, Honor, Interlude, Memoir, Reflection, Jubilation 25, Epic, Journey and Lyric. There’s a men’s discovery set as well. Get one for each of you and share fragrances. Celebrating their 10th anniversary Atelier Cologne came on to the fragrance scene and took off like a rocket due to their unusually long lasting cologne absolue pure perfume. As most colognes disappear shortly after being splashed on, Atelier Cologne uses high concentrations of essential oils which gives the wearer the fresh citrusy rush of a cologne, but the longevity of a perfume. Additionally, they’re truly a shared fragrance experience, meaning they’re meant for both women and men. Try this set of eight travel sprays in Clémentine California, Vanille Insensée, Café Tuberosa, Cèdre Atlas, Iris Rebelle, Rose Anonyme, Orange Sanguine, and Grand Néroli. The French house, Parfums de Marly celebrates the Chateau de Marly and their famous thoroughbred horses originally commissioned by Louis XV in 1739, who also loved perfumes and scented every room in the mansion. Today, the brand holds on to their equestrian roots and names their perfumes after some of the chateau’s most famous thoroughbreds. 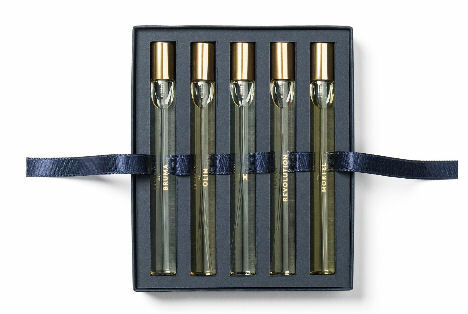 Enjoy five of Marly’s beautiful perfumes in a coffret containing sample vials housed in an elegant box. The feminine discovery set contains Meliora, Athalia, Safanad, Darcy and Delina and the masculine discovery set contains Layton, Pegasus, Harod, Galloway and Godolphin. Hermetica Molecular Perfumes is a brand new French perfume company that debuted in 2018. 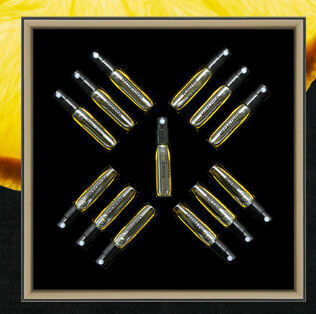 Their modern perfume elixirs are “pure alchemy”, and they’ve created fragrances which are modern and molecular. Hermetica perfumes are alcohol-free and very long lasting. The lack of alcohol means that there are no top notes, so the fragrance goes right to the heart notes. The discovery kit contains a sample of all twelve of their perfumes, which are divided into four categories – greens, woods, florals and orientals. There’s one extra vial, called The Source, which is a molecule found in every one of their scents in varying percentages, but can also be worn on its own. You can redeem the cost of the discovery set ($35) and use it towards a full bottle of any of their fragrances. Smart! Enjoy a total body wellness and fragrance experience with the Aromatherapy Associates Ultimate Wellbeing Bath & Shower Oil discovery set. Created in England, where baths are just as important as a good cuppa tea, each of the ten fragrant oils has a different purpose. In total, 44 essential oils, all with unique properties create baths or showers that will deeply or lightly relax you, de-stress your mind or your muscles, revive you in the morning or evening, support breathing, equilibrium, or give inner strength. Each bottle is good for at least three delightful showers or baths.